Being single is a struggle sometimes. Of course being married is its own struggle. Just being a human being is hard and rife with unexpected circumstances no matter what your relationship status is on Facebook. But because I haven't dealt with the struggle of being married, I can only talk about what it's like to be single. I've written about a lot of personal things. But one of the things I haven't written about much is my first romantic relationship. Partially because for a while I was too emotional to be fair in writing about it and I respect the guy I dated too much to trash talk him on the Internet; in ten years when I'm a super famous author, I don't want people to troll him. I'm joking but the INTERNET IS FOREVER, PEOPLE. Also, I haven't told my story publicly because it wasn't just my story to tell, but if my story of being single is gonna make any sense, you're gonna need a little background info. Aside from a guy I wouldn't even let drive me to prom my senior year, I didn't date anyone at all til I was a freshman in college. Then when I was 18, a sophomore began pursuing me hard. In my mind, the beginning of our relationship was chick flick level perfect. It was equal parts cheesy and sweet and I loved it. If you were at MCC between Fall 2011 and Spring 2012, you most likely saw us sitting on a swing multiple times. We were smitten. It wasn't long before we were talking marriage. I don't mean in the abstract "make sure you're both on the same page" way. I mean we had our lives planned out. We talked baby names and where we would live. I had the next 50-70 years mapped out and I loved it. But we weren't ready for a serious commitment like that so things went south and the relationship ended. I was devastated. But life went on and I adjusted to being single again. At first, all I wanted was to go back to the first relationship. Then I wanted to be loved and adored by someone new. Thinking back, I was getting obsessed with the idea of being in a relationship. I still had standards, but I was no longer ok with being single. However, as time passed and I got used to being comfortable alone, I got so sick of hearing myself and others lament their lack of romantic partners. I was convinced that viewing being single as a curse was wrong and not biblical. So I took to heart Paul's message in 1 Corinthians 7 about how it's better to be unattached. I even read the passage multiple times a day when I was feeling especially discontent. And gradually I became content with being single. To further convince myself and others, I arrogantly preached to anyone who I thought needed to hear it how God didn't promise us spouses and being single isn't some curse. Both of those statements are so true, and while I don't retract my statements, I do apologize for the spirit they were said and thought in. God didn't call me to be a beacon for single girls everywhere. That's someone else's job and may she fill her role with the grace, love and softness I abandoned. 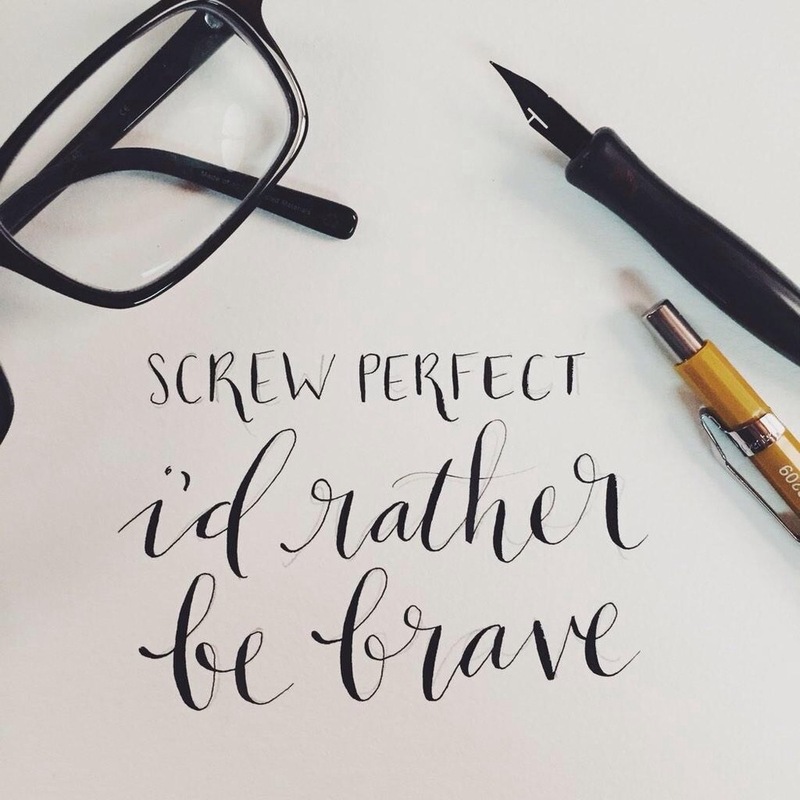 Because strength doesn't lie in bravado or assurance. It lies in gentleness and quiet perseverance. It's the ability to keep going and stay compassionate and not let life make you hard. No, Jesus didn't call me to singleness and he's recently revealed that to me. He very firmly told me "Jackie, you've preached singleness for so long but I made you for marriage. I made you for nurturing." Which was kind of jarring to hear. My first thought was something along the lines of "What do you mean I'm made for marriage? Why have I worked so hard to be ok alone for the past few years if you didn't want me to be alone forever?" I don't really know the answer to that question except that I am alone now and I might still be alone during my life. Because I don't know whether I am made for marriage with a man on earth or to be a part of the Bride of Christ and lovingly serve through the church. Maybe I will nurture children of my own or maybe I will give my love and time to other people's kids. But as a Christian, I'm not called to be know everything; I am called to be faithful and that's what I'm trying to do. For a while I needed to learn how to be independent and comfortable on my own but I've learned that lesson. Now it's time to work in cultivating the qualities of a biblical wife. I'm not discontent in my singleness but I am seeking the Lord daily and preparing to be a helpmeet and learning about submission and gentleness. I'm kind of excited about it. I've got this new challenge in my life and I'm learning more about the different ways to glorify God with my life. It's a struggle every step of the way and it's hard but I'm going to keep trying and relying on his strength and grace til He sends me the unexpected, life shaking challenge. Til then, y'all. Recently, I wrote about how my life in the past couple years hasn't gone according to plan. And of course, life decided to imitate art and go against my plan. Again. Around a year ago, I said in a Bible study with some close friends that recently God had been teaching me to be ok with not knowing the future and having the answers to everything. Wonder what I would have said if I had realized I'd still be working on that same issue now. I'm done with everything in all my classes from the spring semester. Basically, it's summer for me. But ask me what I'm doing this summer and you will get a response along the lines of, "I'm not sure yet. I might..."
And you know what? I hate it. I want to be able to say, "I'm doing this awesome thing this summer. I'm working at this super great internship next year [said internship will guarantee me a fabulous job when I graduate] and I'll be moving to x when I graduate." Y'all, I am struggling with uncertainty SO bad. And the repercussions have left me bitter and constantly worried. I have gotten so jealous of people who have (or appear to have) their lives together. I am bitter towards people who everything seems to be working out for effortlessly. I don't want to be this person. I want to say, "I have learned to be content in all circumstances." I haven't mastered that quite yet, but I am learning. Regardless, I know that God is God in times of certainty and uncertainty. So here I am. Midnight on May 11. Boasting in my weaknesses and trying to remember that his grace is sufficient for me. Ernest Hemingway said, "Write hard and clear about what hurts." That's what I've tried to do with this blog, with the exception of bragging on people I love. Right now I am hurting and I wrote hard and clear about it *wink wink, so if you cared enough to read all the way to the end, can you do me a favor? Send a prayer for me- not for me to experience certainty but for me to be ok with uncertainty, for me to be surrounded by a cloud of God's love. I've officially had this blog for a year now and a lot has happened, not always what I intended but I think it was usually what I needed. So much has happened. I have changed and grown in ways you never imagine until the growing up happens. I'm still in the stage in my life where a lot changes every year. 18-year-old Jackie never would have believed that 20-year-old Jackie would be happily single and not still in love with "The Boy." Two years ago, he was everything. My future. The thought of life without him was devastating to me. And life without him did devastate me --- for a little while. Looking back, I realize how young and stupid we were. I realize that our plans never would have worked. Even more than that, I am so thankful that they didn't work. It's been nearly a year since I talk to the boy and that's completely ok. I am happy without him. He is, I'm assuming and hoping, perfectly happy without me. Crazy how something that seems so integral to your happiness and future can disappear and life can go on in spite of you. I suppose I could blame him for all the hurt I went through because there is blame to lay on him. But there is also blame to lay on me. Even though it didn't end like either of us planned, I had a really sweet first love experience. For a few months, I was adored by the boy and it was nice. It helped make me who I am today. If anything, I am now thankful for the devastation I went through at the end. It gave me a new perspective. It gave me a way to relate with others that I hadn't before. It made me a stronger, wiser young woman and taught me to rely on Jesus for love and affection. Maybe that's what this life is about. Experiences that make you stronger, grow you. Experiences that show you the depth of Jesus's love for you. I remember lonely nights just asking Jesus to wrap me in his love- and he did. If anything can sum up how I felt, it's this song. Thank you God that I have cried my last and you did indeed bring beauty from my pain. The story of Leah is a beautiful, overlooked tale in the Bible. She was unwanted and unattractive. Her husband, Jacob, loved her sister Rachel, his other wife, but not Leah. By her husband, her sister and even society in general, Leah was hated and God noticed. Because of this, he gave Leah the ability to have children and left Rachel barren. While we don’t get much info on Leah or her life, the little bit we do see is very telling. Leah’s firstborn is named Reuben. To Leah, Reuben was hope. Finally, now Jacob would love her too. He would have to since she gave him a son, Leah thought. Except he didn’t. Then again with Simeon and Levi, Leah saw them as hope that Jacob would notice her although she does lower expectations. With Reuben, she used named him after the word “love” but when Levi comes along, Leah is only hoping for “attachment.” Still, no love comes from her husband. At this point, I’m imagining Leah hits rock bottom and realizes that if Jacob won’t love her for having three sons, she will never be able to earn his love. Leah will always be second best to her sister Rachel. Somewhere between being rejected once again by Jacob and having her fourth son, Leah comes to a life changing revelation. It reminds me of when Job says, “The LORD gives and the LORD takes away. Blessed be the name of the LORD.” Leah bases the name for her 4th son, Judah, on her attitude change because now she was simply going to praise the LORD. Leah is unloved and forgotten by her husband but not by the LORD. He wooed her and comforted her. After Leah reaches contentment, she ceases having children. To me, this says that Leah was truly content with the LORD and no longer worried about pleasing Jacob. You are loved by God. He is enough. He is all you need. Sometimes he uses methods that we mere mortals don’t understand. However, everything in the universe and everything that happens to you- that is God proclaiming his love for you. He is telling you that you are good enough. His love is enough. You don’t need anything else. Nothing else will satisfy you. So, do you know which of Jacob’s 12 sons were in the line of Jesus? It was Judah. Leah’s son named for her praise of God. Seriously? The literature nerd in me is going crazy. Can you get more perfectly cute than that? Leah does have more sons later on and I don’t know if she stayed content in the LORD all her life. But that’s not really the point of Leah’s story. Growing up, I remember thinking Rachel has it so much better and if I had to be one, I’d wanna be Rach. But I don’t wanna be Rachel anymore. She’s portrayed as somewhat petty. She worships her family’s household gods and steals from and then subsequently lies to her father. Leah’s not perfect. But that’s kind of the point. She’s real. She has problems and she grows and understands life better. Leah is unattractive but she is wooed by the creator of the universe. I am Leah not Rachel. I am fighting to be loved and noticed and appreciated. All the while, I forget the most important truth of all: Jesus died to save me from eternal damnation and to give me life abundant. The entire Bible and the short story of Leah can be summarized the exact same way: The creator of the universe loves you more deeply than you can imagine and he wants you to know that. He wants you to love him back and realize that the meaning of life is to seek and find contentment in him. I hope we all realize that though we feel unloved like Leah, we are loved; truly, madly, deeply (I wanna stand with you on a mountain). Also, please excuse the Savage Garden reference. It's 2014 for goodness sake! Read about Anna, another woman of faith who inspired me too! If you like it, please click share! I'd love to hear what you thought about this! Anna The story of Anna is found in Luke 2:25-40. Anna was widowed after only seven years of marriage. It’s bad enough to lose your husband after such a short period of time. It’s worse when you live in a culture where your worth and livelihood all depend on your husband and you earn respect through having children. “Do not be afraid; you will not be put to shame. Do not fear disgrace; you will not be humiliated. You will forget the shame of your youth and remember no more the reproach of your widowhood. For your Maker is your husband— the Lord Almighty is his name— the Holy One of Israel is your Redeemer; he is called the God of all the earth. Anna should be an inspiration to single women, both those who are widowed and those who are unmarried. The Bible says that Anna never left the temple because she was fasting day and night. After she was widowed she completely and wholeheartedly gave herself over to the Lord. Her maker was her husband like listed in Isaiah 54. That blows my mind. I worry about what would happen if I never get married or don’t get married within the next 5 or so years because I have placed my future into the hands of a guy I either haven’t met yet or just haven’t connected with yet. I have made the future and my future husband an idol. There are so many problems with this. Nowhere in the Bible does it say “And for every girl who loves Jesus there shall be a husband who is at least six inches taller than you with a smoking hot bod who loves Jesus, is athletic and musical, and will be loved by your friends and family alike.” No, this is not promised in the Bible. In fact, in many places, we are essentially promised the opposite. In both the Old Testament and the New Testament, Jesus and God command followers to leave everything they have to follow him. We like to look at the rich young ruler as an example of this but there are good examples of people with follow through too. The 12 disciples. Abraham. Paul. Ruth. This may be material goods or it may be family and it some cases, both. Either way, the message is clear. Following Jesus is about your love and devotion for him. It’s not about a get out of jail free card that also comes with a magic genie. It takes away from the sovereignty of God. I am inadvertently saying I place my future on the wishes of someone other than God. I probably covered this in points 1 and 2 but seriously this is ludicrous and an insult to God. Can we talk about the fact that it’s the 21st century? Girls no longer seriously go to college to find a nice doctor or lawyer and get that diamond diploma and MRS degree (Pronounced M R S Degree. Definition: a girl who is in college only to get married). Also, the median age of girls getting married is now 27 and its 29 for guys. So the average of when most girls get married is two years later than the end of the spectrum for when I think I deserve to be and should be married. My perceptions are so skewed. First, I shouldn’t expect to get married at a certain age especially since I am currently unattached. Second, I think I am so entitled when in reality I don’t deserve anything. God doesn’t owe me anything and he certainly didn’t promise if you become a Christian at age 7 you’ll live happily ever after with the Christian version of prince charming. Oh wait, he kind of did. That’s Jesus Christ and the Church is his princess bride. But do you (meaning me) specifically get your own Prince Charming? No! He. Owes. Me. NOTHING. Back to Anna, she is a model of what single women should be doing. Looking for a new husband? No. Lamenting and grieving over their misfortune? No. Serving the Lord day and night? Yes! So today as you walk through your day, consider Anna and worship the Lord not his creation. My resolution is to fall in love with Jesus and let the rest fall away. 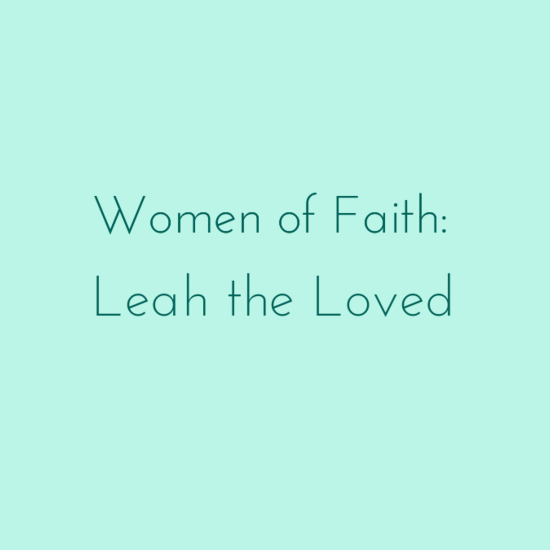 Read about Leah's struggles to be loved in another Women of Faith article. Last semester, I had an existential crisis of sorts. A religious one. It was ignited by lots of factors. A philosophy class that raised the "Question of Evil," coming down from the mountain post summer missions, not having a small group/mentor/spiritual community I felt comfortable being open with in Starkville to name a few. In addition to the question of evil, I wondered if God really existed and if he does, does he matter and care, and furthermore, why am I studying PR at a college in the Bible Belt. Basically, I was questioning what's the point of all this and where do I fit in. So I did what any good Christian would do in our "hide your scars" and "walk it off" culture. I shut myself off. To God. To the Bible. To Church. To other Christians. I became "too busy" for BSU. Until one day I had a conversation with a friend whose beliefs differ greatly from mine. Suddenly I realized that even through my dark place of separation and doubt, I could not completely stop loving or believing in Christ and his salvation. And I found that I agree with most of what the Baptists believe. So much so that to hear someone down Christ or Christians hurts and saddens me. Then I realized, I needed to tuck my tail between my legs and go to church and pray and read my Bible. EVEN WHEN I DON'T FEEL LIKE IT. Read more about what C.S Lewis has to say about that here. I still don't have the answers and I probably never will. I am not a great theologian who can convince you to become a Christian like me. Even if I was a theologian, only Christ can do that. I realize that I could just be a crazy, superstitious person but when I pray, stuff happens and if you want examples, just ask. I don't believe in believing in God just because I'd rather be wrong and go nowhere when I die than not believe and be wrong and go to hell. That's not what true Christianity is about. It is about believing something crazy. It's called faith for a reason. I will probably always have doubts but thru it all I love Christ and am overwhelmed by his love for me. All I know for sure is if our world doesn't have a creator and savior, then I'd rather be crazy and happy than sane and miserable. So I love these quotes for various reasons. Some describe me. I want others to describe me. Some inspire me. Some are just plain beautiful to me. 18. Ginger Rogers did everything Fred Astaire did but backwards and in high heels. I am afraid of geese and drains in parking lots. Bad storms still have the ability to turn me into a five-year-old hiding her head in the couch like an ostrich in the sand. Some days, I'm still that quiet, insecure fourteen-year-old girl afraid that nobody really cares if she's here or not. Gonna have to say "What is the future for $1000, Alex"
Not knowing where I'm gonna be, what I'll be doing, or who I'll be with in two years, well frankly, that kinda terrifies me. The issue of who I will marry has been a struggle for me for a while. But I really wasn't too concerned from March until a week or so ago. Y'all, I really rocked the contented, in love with Christ only thing this summer. Then I got back to the real world. Now I struggle to love Christ enthusiastically. I worry that I'll give in and settle for the American dream and not live a life that matters. I worry I'll either be too scared to move away when I graduate and I'll marry a man who wants to stay in meridian his whole life or that I'll never find someone to change my last name for. But as I just read in Psalms 34, the Lord never withholds good from those who seek him. So I know I can trust him to give me exactly what I need, at exactly the right time. He is never late or early. So that's me, a little scaredy cat. In spite of all that, I know I am loved and protected by Christ and his undying love for me. I simultaneously feel the need to write and feel writer's block coming on. Which is a pretty good explanation of me in general. I am a paradox. I have passionate feelings and great apathy. I am struck by the conviction to speak the truth boldly and the conviction to be loving and non-judgmental. All this and more in the body of a 20-year-old woman. Like all strong character traits, this can be both a good thing or a bad thing. I easily come off offensive to those who do not know me well. I once heard someone say they had tons of compassion for non-believers and none for believers gone astray. At the time I thought this was harsh but somewhere along the way I became someone with merciful love for non-Christians and only tough love for fellow Christians. I am still not sure whether this is the right way to be or not but I make no apologies because Christ is never seen to be a nursemaid coddling us. "Life is pain, Highness! Anyone who says otherwise is selling something." But it's so hard to remember. We get so disheartened when life isn't a walk in the park. So we binge on Netflix or work out or do something to zone out and get the stress out other than going to our creator. This isn't anything close to what I was intending to write. But that's one of the reasons I write. It clarifies what I'm confused about and shows me what I've blocked myself from seeing. Have you ever been in the middle of a crazy, busy something or other fighting a meltdown and then the perfect words come along and all the sudden you have nearly an out of body experience? I did this summer. All my life, I have fought the battle of "who am I?" and "there's nothing special about me." It was even worse this summer when I was on the creative arts team with four girls more talented than me in one way or another. I know what you're saying here, "Jackie, you're talented too" or "Maybe you aren't an amazing singer but you have other talents." But for the sake of this blog, just put away those thoughts and start with the premise that most of the time, I feel plain and inadequate for recognition. Back to this summer, one of the songs we performed was "Free to Be Me" by Francesca Battistelli. One of the times in July after I had just turned 20, I was having a really rough day of feeling like there was no real reason for me to be there. Then came time for me to sing this song with two other girls. At this stage in my life, nothing describes me better than that song. Even more specifically, the first line could have been written by me. I do not know who I am or where I will be in a few years even though I am constantly asked the question of what I'm doing after graduation. But that hot July day in Orlando, Florida when I was close to tears and falling apart, I realized that it was okay that I didn't have a clue because God is in control and he has plans for me. I could live in a big city or a tiny town. I could get married in the next 6 months or I could stay single forever. I might graduate and start working right away or I might go to grad school or even seminary. Who knows? Oh, wait. God does. And that is what gives me peace in the middle of chaos. One day I might find a dream but for now, it's just loving God and his people and that's alright with me.